Garmin 64 GPSMAP 64s, 64 CASE COVER made by GizzMoVest LLC in 'Hunters Coffee'. High-tech Composite Molded Protection includes Metal Belt Clip, Wrist Lanyard-Clip. MADE IN THE USA by GizzMoVest LLC at iShare Maps. MPN: Garmin GPSMAP 64 Case, Coffee. Hurry! Limited time offer. Offer valid only while supplies last. 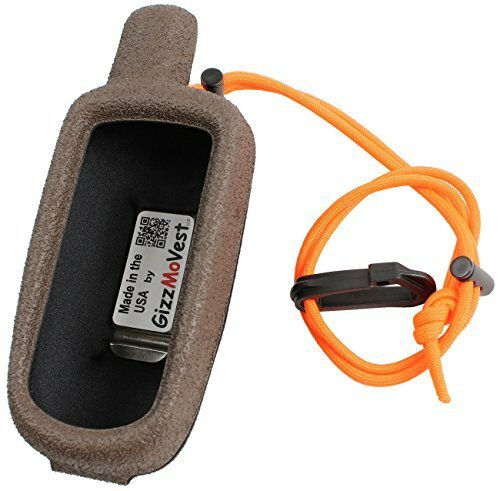 Garmin GpsMap 64s amd 64 CASE MADE IN THE USA by GizzMoVest LLC provides the ease-of-use of a holster but the protection remains intact while in-use.